Lately, all I’ve been hearing is that my generation has a competitive edge because of our social media skills. I’m a millennial, and like several of my peers, I use up to five social media tools on a daily basis. But using social media doesn’t equate to being skilled at it. That’s where measurement comes in. One great attribute of social media is that it’s full of data that you can measure. Also, more often than not, this measurement is right in front of you. Next time you want to measure your success online, consider these three ways to gauge and increase social media ROI. 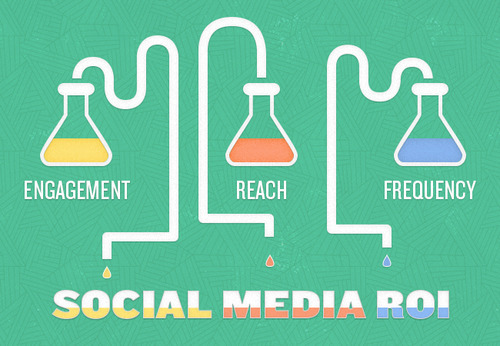 Every social media platform has its own metrics to measure engagement. First, look at the basic data such as how many likes, shares and comments on Facebook, and how many retweets, follows and favorites on Twitter, just to name a few. By looking at these numbers on a daily basis, you’ll eventually see trends and patterns on each of the platforms. There are also additional tools outside of the individual sites to help measure social media ROI – IceRocket and Klout are both free and easy-to-use. It’s important to look at the numbers, but remember that it doesn’t explain your audience’s sentiment. To understand who’s engaging with you, look at the people who are frequently interacting with you and analyze what they’re saying, who they’re posting about, and who they’re following. Manual coding is the most accurate, but there are also automatic tools such as Social Mention to measure the sentiment toward your brand or organization. Businesses and individuals are still figuring out what works in social media and what doesn’t. As best practices evolve, be open to change and realize that there’s always more to learn when it comes to the digital space. Traditional tools aren’t gone, but social media is becoming a larger piece of the puzzle. Measuring your social media presence is the first step to understanding and increasing ROI, but as these tools develop and change, we need to as well.